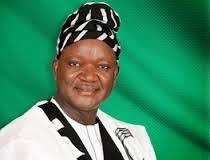 Benue State All Progressives Congress (APC) governorship candidate, Dr Samuel Ortom, has condemned the crisis among rival parties in Tyeku, Gboko Local Government Area, last Saturday. A number of people were injured and some property destroyed in the clash. Ortom noted that the crisis was unfortunate, as it happened when the leadership of the Mdzough U Tiv and the Prayer Pilgrimage for Peace, convened by Catholic Bishops in Benue State, were asking political leaders to ensure violence-free polls. The APC candidate said the leadership of the two dominant political parties in the state – the Peoples Democratic Party (PDP) and the All Progressives Congress (APC) – Governor Gabriel Suswam and Senate Minority Leader George Akume, had promised peaceful, free and fair elections. He said the party leaders spoke last Saturday in Gboko before God, the people of Benue State, in the presence of the Tor Tiv, Orchivirigh Dr Alfred Torkula and other royal fathers. The former minister of state for trade and Investment stressed that the promise was binding on the members and supporters of the two parties and all Benue State residents. Ortom said there is need to end hostilities and keep to the terms of the peace deal. He urged security agents and law enforcement authorities to identify, arrest and prosecute those culpable to serve as a deterrent to others. A statement by Mr Tahav Agerzua, the Media Adviser to Ortom Governorship Organisation, said Ortom sympathised with the victims of the crisis. He urged them to leave vengeance to God to judge the matter, instead of resorting to self-help.